Too many children and youth around the world lack the literacy skills they need to succeed in schooling and in life. In low-resource countries, their ability to learn to read and write is hindered by limited books, materials, and trained teachers. RRN has been used in more than 25 programs across Africa, Asia, and Central and South America. Settings have included remote, fragile, and high-conflict contexts; public and community-run schools; madrassas; rural one-classroom schools; alternative basic education programs; multilingual classrooms; and nomadic schools. More than 15 million students and 300,000 teachers have benefited from participation in RRN. 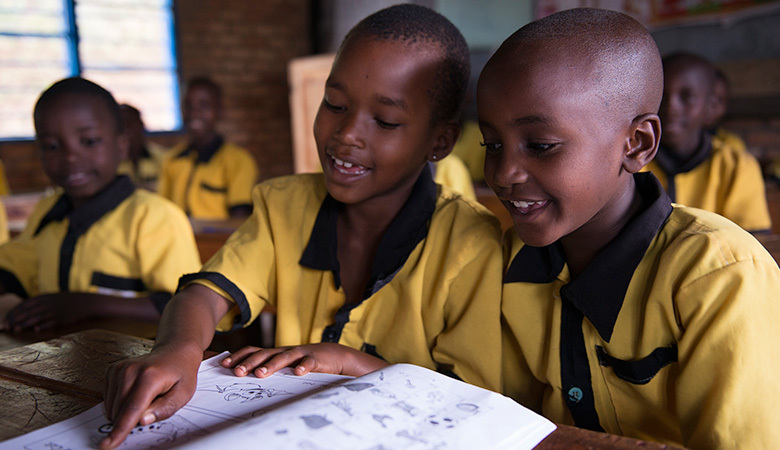 In the Democratic Republic of the Congo (DRC), 21 percent of second-grade students using the program surpassed third-grade French fluency benchmarks, compared to 2 percent of students in other schools. Program students outscored peers even more in first-grade Lingala reading. After a year and half, Senegal students averaged fluency rates of 81 words correct per minute and 95 percent comprehension. In the Philippines, students’ average gain in comprehension after a year of using the program was 24 percent, and 62 percent of participating students met fluency benchmarks (compared to only 45 percent of non-participating students). In Madagascar, 96 percent of teachers were observed using evidence-based, student-centered instructional strategies after one year of program support, compared with 56 percent at the start of the program. In Ghana, parents who reported reading to their children increased from 42 percent to 70 percent over the course of the program. This website contains information about the Out-of-School Youth Literacy Assessment (OLA), a reading assessment administered one-on-one to youth and adults that was developed by EDC. The website describes how to administer both the paper OLA and the electronic OLA (eOLA) and provides links to relevant research supporting the assessment. This evaluation of the Harnessing Youth Volunteers as Literacy Leaders (HYVALL) project in Senegal explores the potential links between specific elements of the intervention and student reading gains. HYVALL brought together students, parents, and volunteers to help children learn to read. This brief presents findings from an impact evaluation of the PAQUED (Project D’Amelioration de la Qualite de l’Education) project’s six-month experimental reading intervention in the Democratic Republic of Congo (DRC). PAQUED was developed as part of EDC’s Read Right Now! early grade and youth literacy initiative. This report summarizes the results of a small-scale evaluation EDC conducted in collaboration with Mali’s Ministry of National Education to examine the effectiveness of a balanced literacy approach. 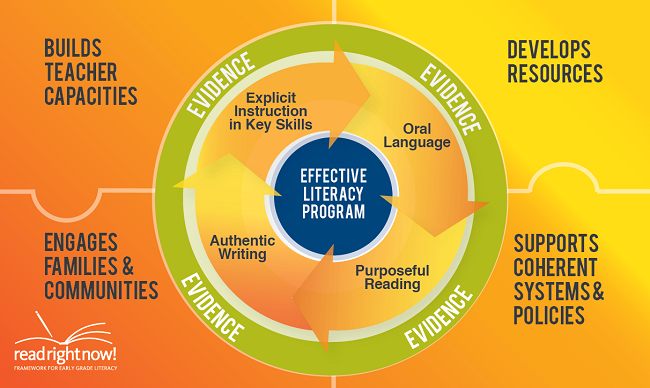 With this approach, teachers implement evidence-based techniques in language mechanics (phonics), reading comprehension, and writing.